A June 28 road-rage shooting that left an 18-year-old West Goshen woman dead sparked a nationwide manhunt that ended with the arrest of a 28-year-old man from Trainer, Delaware County, early Sunday morning. 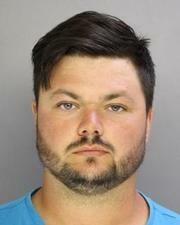 David Desper, 28, of Glen Mills, has been charged with murder after a June 28 road rage shooting that sparked a manhunt. The senseless nature of the crime sparked a social media firestorm of tips that eventually linked the faded red Chevy Silverado truck to Desper. Desper, accompanied by an attorney, turned himself in to West Goshen Police at 2 a.m. on July 2. Police said that Bianca Roberson was driving at the Route 100 and Route 202 merge last Wednesday evening at 5:30 p.m. Alone in her car, she apparently got into some kind of confrontation with David Desper, who was driving a red pickup truck. According to police, Desper shot Roberson in the left side of her head with his .40-caliber semi-automatic handgun and drove away as Roberson's car veered off the roadway. Police said she was killed instantly by the shot. At a news conference on Sunday, Chester County District Attorney Tom Hogan said the truck belonging to Desper was found in Glen Mills. The gun, which was registered to Desper, was found in his bedroom, Hogan said. Several .40-caliber bullets were found in a trash can. Fragments of a .40-caliber bullet matching the gun were recovered from Roberson's body. Hogan said that Desper was charged with murder, and that he is being held without bail in Chester County Prison. 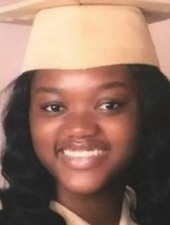 Bianca Roberson had recently graduated from Bayard Rustin High School in West Chester. Police used eyewitness accounts and surveillance video from the highway, nearby businesses and homes to track the route of the red pickup, which sped along the shoulder of Route 100 and took Route 352 into Delaware County immediately after the shooting. Roberson had recently graduated from Rustin High School in West Chester. She had been shopping for clothes in Exton with other family members before she tried to drive home and encountered Desper at the merge of the Route 100 Bypass at Route 202. Desper is charged with first- and third-degree murder, possession of an instrument of crime with intent, and recklessly endangering another person.